As you may have sensed this already, the Strange Traveler is quite a peculiar being. And rumor has it that he has started collecting something. Let’s see what he’s up to shall we. Once you go and talk to the Strange Traveler during the event period, he’ll tell you about his new hobby, collecting Matryoshbas, and he’ll ask you for your help. 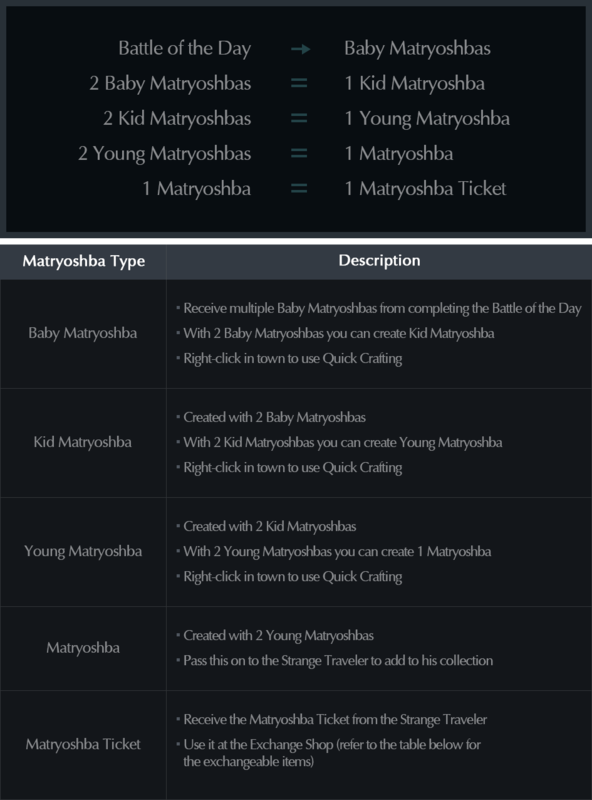 * Please note that ALL Matryoshbas and the items purchased from the Exchange Shop are restricted from being used in the Marketplace, via Mail/Account Mail, Guild Box, and Shared Storage. 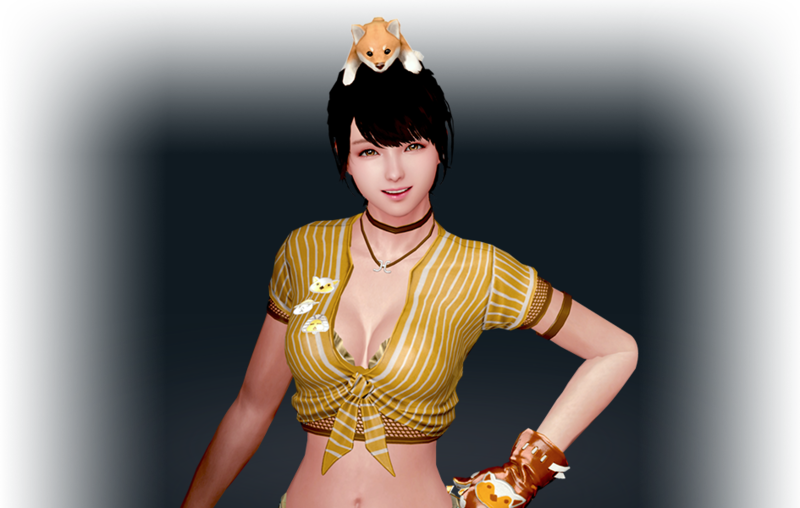 However, Shiba Chapeau can be transferred within your account to other characters and is also tradeable. Join us and cool off with the Traveler’s Cool Gift Event. Go talk to the Strange Traveler once a day to purchase 10 water balloons for 1,000 Gold. And once you’ve received the ‘Summer Flu’ title, go to the Strange Traveler and receive the cool Marine T-shirt as your reward! 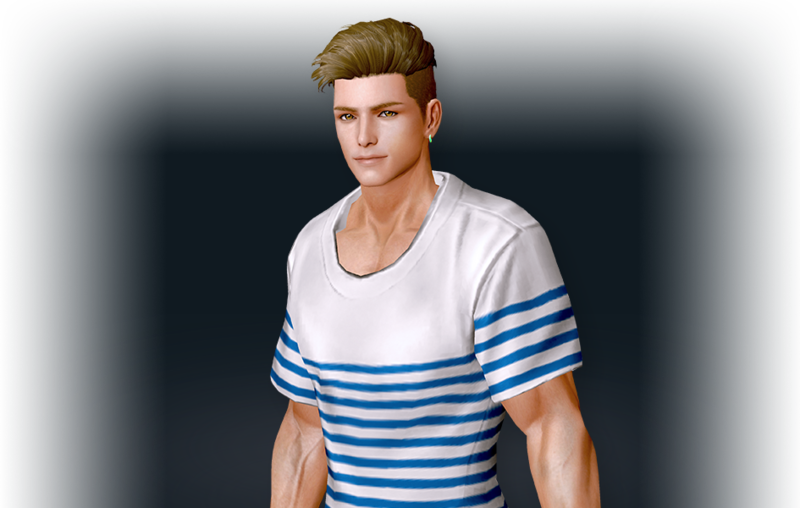 (Image only available for the male version) Also, the Marine T-shirt is a regular equipment and therefore you can customize it by dying it! These water balloons are full of cold liquid and they can even freeze boss monsters. Equip these water balloons in your secondary weapon slot and get ready to freeze your foes up!